With our awesome team, I am very pleased to be able to bring you the first collaboratively created website for the global Physiotherapy and Physical Therapy community. As a physiotherapist who works in e-learning and as a technology specialist for the physiotherapy community I was interested to bring the international physiotherapy community together with a communal website where all physiotherapists throughout the world could collaborate to produce one extensive and evidence based resource for the global physiotherapy and physical therapy community, Physiopedia is the result and is constantly being developed from this idea. I qualified as a physiotherapist with a first class degree from Sheffield Hallam University in 1998. My early clinical years were spent working in the UK and Australia in a variety of different clinical environments and with a variety of clients and clinicians. 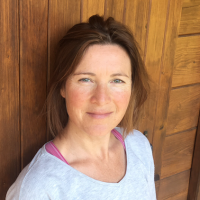 Having worked for the NHS for a number of years and for others in private practice I eventually took the plunge and set up my own private physiotherapy practice in West Yorkshire. This quickly developed into three busy clinics with a small team of physiotherapists. It was around this time that I became interested in the use of technology in the physiotherapy profession and by working with Tony at Webducate began to produce e-learning materials for health care education. I began working as an e-learning specialist producing innovative resources that enabled effective distance learning via the internet. With my physiotherapy background it is hardly surprising that the majority of my work was with the health care sector where I collaborated with individuals, higher education institutions, professional bodies, health care trusts and private companies to advise and train in e-learning techniques and to produce bespoke distance learning resources. For the physiotherapy profession my aim is to use my specialist subject knowledge of the profession and my technology skills to promote the advancement and inclusion of the use of technology within the profession. I do this by working closely with physiotherapists, physiotherapy education providers and physiotherapy businesses to provide bespoke and innovative solutions for their on-line requirements. I feel very lucky to have had a free and opportune life which inspires me to make a difference to those who have been disadvantaged in life. I am keen to combine my skills as a physiotherapist and technology specialist to provide healthcare education projects which will benefit not only those developed regions but also for those in remote and less resourced areas of the world. To meet this aim I have co-founded this open educational project specifically for the physiotherapy profession. With this continually evolving project I hope to "have fun and make a difference".